It dates back to the time of Toyotomi Hideyoshi. Maeda Toshiie received the imperial carriage dating from the time Toyotomi Hideyoshi welcomed the emperor. 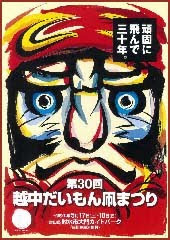 The second feudal lord Maeda Toshinaga gave it to 10 towns that had been newly formed. The carriage was reportedly rebuilt as a wheeled float like those used in the Gion festival, and was first used in the procession of the spring festival of Sekino Shrine. It is the biggest float festival in the Hokuriku region. 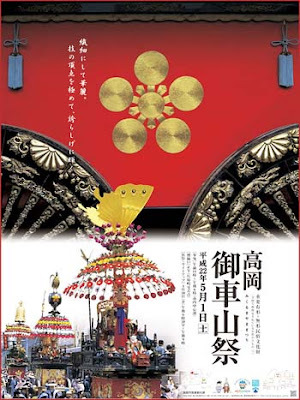 During this festival seven wheeled floats (mikurumayama) parade through the streets of the city. These precious floats are nationally designated important tangible and intangible cultural assets. If it rains, the parade and illuminations are postponed. The family crest of the Maeda clan is shown. The Takaoka mikuruma-yamas (wheeled float) carried in this festival are apparently based on the court carriage used by Hideyoshi Toyotomi to welcome Emperor Go-Yozei and Retired Emperor Ogimachi to Jurakudai in 1588. After Toshie Maeda received it as a gift, Toshinaga Maeda gave it to the townspeople in 1609 when he was building Takaoka Castle. A barrel roof was added to the carriage to make the current mikurama-yama. Supported by the spirit and wealth of the Takaoka townspeople, this is one of Japan’s most gorgeous hikiyama festival floats, with wheels decorated using superb local craft techniques, such as metalwork, lacquer ware and dyeing. Lion dance, when the mother lion gives birth to a lion, which is a seldom feature in Japanese lion dance. The lion stamps and jumps, summersaults and jumps again. It is quite a humorous performance and has been handed down from parent to children. Summer festival at the shrine Kaguraoka Jinja 神楽岡神社. 120,000 iris plants (the city flower of Oyabe) in 212 varieties are shown. Called "reading the buri" (amberjack) in the village, this event begins with the reciting of a Shinto ritual prayer. The "reader" then offers up the fish, one by one, as he recites the names of the different districts of the community. After this, slices of fish and mirror-shaped rice cakes are distributed to each of the shrine's parishioners. The rite is intended to ward off misfortune throughout the year. This dance is performed as a religious offering to give thanks for a good harvest. 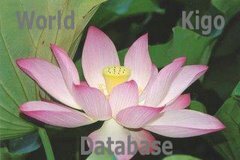 It is said to have originated at the Kamomioya Shrine in Shimogamo, Kyoto. Designated an intangible cultural asset by Toyama Prefecture in 1965, the Chigo Dance of Etchu was designated an important intangible folk culture asset by the Japanese government in 1981. It originally featured five wheeled floats. The number was reduced to four in 1942 when Rengeji was incorporated into the city of Takaoka and Rengeji's wheeled float was withdrawn from the event. After passing in front of the Daimon Shrine, the floats are towed through the various districts and throughout the town. 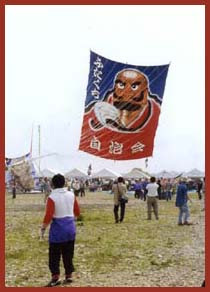 With many kites of the face of Daruma. Third saturday and sunday of May, since 1979. The wind is brisk on the banks of the Shogawa River, and the sky is filled with color as the kites ascend. At Fukushi Shrine, for the god of safety at sea. In memory of the Genpei war between the Heike and the Genji. kagyu (flaming bull dolls) are carried around the city of Obabe. In memory of Kiso Yoshinaka, who bound flaming torches to the horns of bulls and drove them into the Taira army, causing its defeat. The bells are rung 108 times, as is usually done on the night of the New Year. 13 wheeled floats are towed around the town. During the day hanayama floats decorated with flowers are featured, and at night chochinyama floats decorated with paper lanterns. The overall effect is quite magnificent. Written records indicate that the festival dates back some 350 years. Ebiekamo Shrine is called the Ebie Hikiyama Festival. Each September 23 three wheeled floats make their way in a magnificent procession, accompanied by a group of musicians playing solemn music. Written records indicate that the festival dates back some 150 years. A special feature of this hikiyama festival is the mechanical dolls. a competition of handmade mikoshi portable shrines, was initiated to celebrate the one hundredth anniversary of the founding of Kosugi. Created to encourage regional exchange, visitors are welcomed from all over Japan. Ooriginates in the custom among geiko maidens of dressing their hair in the marumage style (a hairstyle for married women). More than 100 ladies visit the tempoe Senjuji to pray to the goddess Kannon. the streets are lined with more than 100 scarecrows. first sunday in August along the Oyabe river in the shinsui park in Tsuchiya. A contest for catching carp for children is the main attraction. All the 4.516 poems of the Manyoshu poetry collection are read in a relay, lastting three nights and days. Maeda Toshinaga, second lord of the Kaga clan, encouraged metal casting in an effort to develop the town. This eventually evolved into Takaoka's famous copperware tradition and, later, into an aluminum industry. Kabuki performances put on by children are a popular highlight among the city's residents. Approximately 20 yotaka lanterns, large and small, vie for supremacy in a lively display. Harvest festival in honour of Jizo Bosatsu. Lantern floats decorated with pictures of samurai are violently crashed into each other at the fighting festival, Kenka Yotaka Festival. The festival ends with an exhibition of yabusame, or horseback archery, conducted as a Shinto ritual. The word yansanma derives from yabusame.